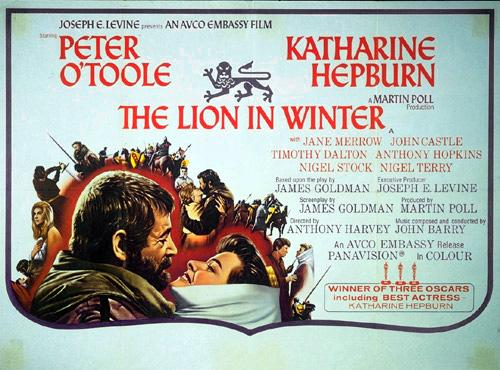 This is a king you may have heard of, thanks to Peter O'Toole! This is the king made famous in the film The Lion in Winter. Son of Matilda, grandson of Henry I, only 21 when he came to the throne. Son of Geoffrey of Anjou, he inherited Anjou, Normandy, Maine and Touraine. Marriage to Eleanor of Aquitaine brought him control of Aquitaine. Together, a huge swathe of land in France – more than held by the King of France! He was a whirlwind of energy whose officials and servants struggled to keep up with him, and who believed he could solve any situation with enough willpower. He restored order to England within only six months, and eventually ruled an empire that stretched from the Scottish border to the Pyrenees. He was well educated and intelligent and spoke several languages. He found love with Rosamund de Clifford, even though he stayed married to Eleanor. Thomas Becket was Henry's close friend and chief justice until Henry made him Archbishop of Canterbury, where Beckett's unbending principles angered Henry. Henry famously wished out loud that he could be rid of him, and four knights took him literally and murdered him. Because of Beckett's murder the pope laid an interdict on Henry's lands: no masses could be said, no marriages or funerals, no church rites or services. Henry had to repent publicly, he was flogged and fined. He had four sons who were impatient for power and the three eldest contantly rebelled against him, encouraged by his wife Eleanor. To secure the succession he had his eldest son Henry crowned, the only time there have been two kings at once in England. It didn't work because the Young King Henry died. In 1185 he was offered the crown of Jerusalem, but he declined. He fell ill in summer 1189 and died when he heard his favourite son John, the youngest, had joined the rebellion.